Kalium Lakes Limited is a public company, based in Western Australia, with a tenement package covering more than 2,400 square kilometres at the eastern margin of the East Pilbara Region of Western Australia. An exploration and development company, it is focused on developing the Beyondie Sulphate Of Potash Project in Western Australia with the aim of producing Sulphate of Potash (SOP), a high yield, premium fertiliser, for both domestic and international markets. There is currently no SOP production in Australia. Mr Malcolm Randall (Dip Applied Chem, FAICD) holds a Bachelor of Applied Chemistry Degree and has more than 45 years’ of extensive experience in corporate, management and marketing in the resources sector, including more than 25 years with the Rio Tinto group of companies. His experience has covered a diverse range of commodities including iron ore, base metals, uranium, mineral sands and coal. Mr Randall has held the position of chairman and director of a number of ASX listed companies. Past directorships include Consolidated Minerals Limited, Titan Resources Limited, Northern Mining Limited, Iron Ore Holdings Limited and United Minerals Corporation NL. Current directorships include MZI Resources Limited, Thundelarra Limited, Summit Resources Limited and Magnetite Mines Limited. Brett Hazelden (B.Sc. MBA GAICD) is a Metallurgist who brings more than 19 years’ experience in project management, engineering design and operations servicing the Australasian resources industry. His previous responsibilities include project management, feasibility study evaluation, engineering and design, estimating, financial evaluation, cost control, scheduling, contracts and procurement, business risk and strategic development. As well as other roles, he has held senior positions at Rio Tinto, Fluor, Newcrest Mining and Iron Ore Holdings. Brett Hazelden has studied, managed and executed projects from small scale works up to multi-billion dollar complex developments. 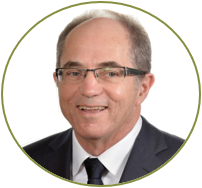 He has been responsible for environmental permitting and approvals, heritage, native title negotiations, external relations, as well as tenure management. 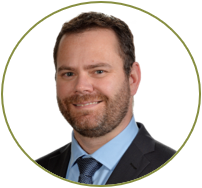 Brett has also been involved in numerous mergers, acquisitions and due diligence reviews in recent years. Rudolph van Niekerk (B.Eng. Mechanical GAICD) is a professional in the mining and resources industry with more than 12 years’ experience in project and business management. Previous positions include senior engineering roles for Ausenco, Anglo Gold Ashanti and BC Iron. During his career Rudolph van Niekerk has held a range of different roles in the management of projects and operations. His various responsibilities have included financial evaluation, risk review and management, project management, development of capital and operating cost estimates, budget development and cost control, design management, planning, reporting, contract administration, quality control, expediting, construction, commissioning, production ramp-up and project hand-over to operations. Mr Brendan O’Hara (BJuris, LLB, SF Fin) holds a Bachelor of Jurisprudence (Hons) and Bachelor of Laws. He is a former Senior Fellow of FINSIA, a former legal practitioner of the Supreme Court of WA and former member of the Business Law Section of the Law Council of Australia. Mr O’Hara has many years’ experience as a director of Australian listed companies, including eight years as Executive Chairman of an ASX listed company (Summit Resources Limited). His earlier roles with the ASX (as State Executive Director and Manager – Listings), underpin a wealth of experience involving international transactions, corporate governance, risk management systems, contract negotiation / execution and government relations. Mr Achurch was recently a Senior Manager with RSM Australia, one of this nation’s top six corporate financial and advisory accounting service providers. 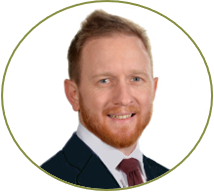 He has considerable experience, operating at a senior level, in providing expert audit advice to a number of major businesses across the exploration, mining and agricultural sectors. 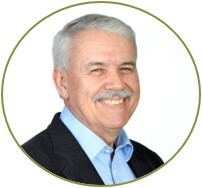 A member of the Institute of Chartered Accountants Australia and New Zealand, Mr Achurch has developed a comprehensive understanding of commercial accounting and audit functions, as well as possessing a strong technical knowledge of ASX reporting requirements, International Financial Reporting Standards (having worked in the USA) and Australian Accounting Standards. Gareth as more than 30 years’ experience managing corporate administration and strategic communication activities for public and private companies. He has held senior roles within the agriculture, industrial chemical, mining, civil engineering, retail and wholesale sectors incorporating a diverse range of corporate support, investor relations, stakeholder engagement, marketing and media liaison responsibilities. Working as part of the small Kalium Lakes team, Phil brings more than 30 years’ experience in international trade, working predominantly in Middle Eastern and Asian markets, to this role. 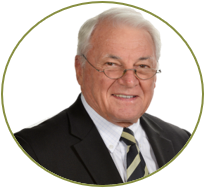 He has considerable experience in agribusiness and fertiliser supply chain management, as well as detailed knowledge of business practices in the Middle East, Asia, North America and various other international markets. 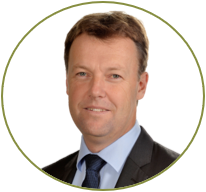 His experience in the Australian and global fertiliser sectors is highly relevant to our marketing & distribution strategies – both national and export. 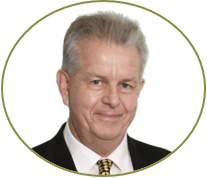 Phil has held various Board and industry body roles in international trade and agribusiness during his career.